As the title suggests, after three short weeks growers came to the party this week. Not only were cattle yardings well up, we had to go searching back through the data to find the last time we saw a yarding this big. Price reacted accordingly, and fell, but not by as much as might be expected. 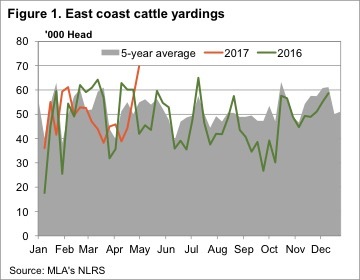 Figure 1 shows east coast cattle yardings rallied an enormous 87% on last week, and 52% on the last full week of sales. With yardings this week hitting 69,737 head, we had to go back to the second week in December 2015 to find larger supply. All states contributed to the larger yardings, with Queensland up 64% while NSW had the largest yarding at just under 30,000 head, up 82%. The southern states had the largest increases, Victoria yarded 128% more cattle, and SA 240%. It would be hard for prices to not fall under the weight of such yardings. However, falls were relatively minor. 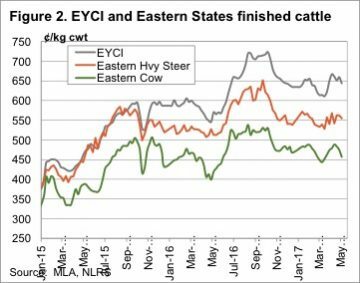 The Eastern Young Cattle Indicator (EYCI) fell 15¢ to hit a six week low of 643.75¢/kg cwt. EYCI yardings were very strong, doubling this week and sitting 9,500 above the same week last year. Given the increase in supply, we can say demand remains relatively strong. It was cows, as shown in figure 2, that wore the biggest fall, with 20¢ declines in NSW and Queensland. Victoria managed to maintain strong prices, still sitting at 487¢/kg cwt. There were no issues with supply hitting prices in WA, where the Western Young Cattle Indicator rallied 30¢ to 673¢/kg cwt. Supply tends to only get tighter in WA at this time of year, which should keep prices at the upper end of the range. 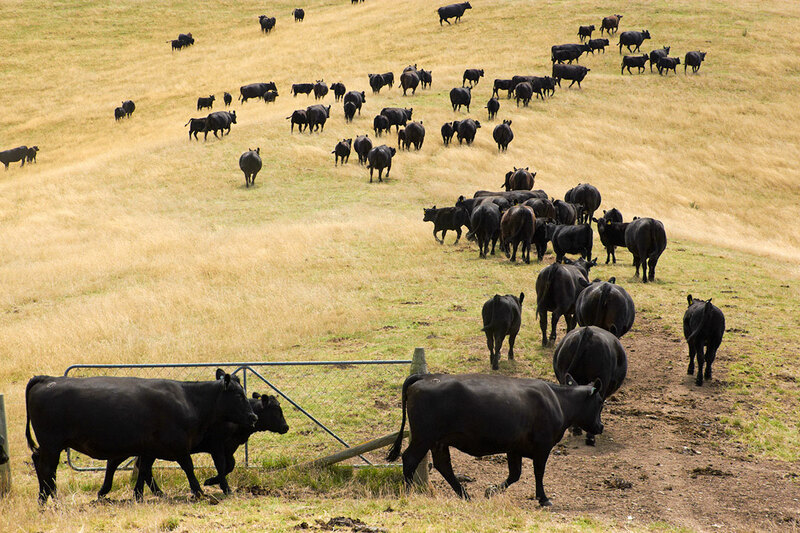 Given the influx of cattle this week, we expect things to tighten up pretty quickly next week. The autumn break has arrived in the south, which will support prices there, but it’s been a bit dry in the north since Debbie did her thing. This, along with continued strong prices, might have been a factor in the large yardings this week. June is only four weeks away. Prices never fall in June, apparently.